­-Her bare legs, which apparently incited authorities and clerics. By the order of one of the city officials which had certainly received it from Qom the sculpture was covered with tarp for a while and those who had not had this sculpture in mind kept wondering what that huge covered object in front of the ministry of agriculture was?! After a while the sculpture was uncovered again but this time the bare legs and uncovered hair of the woman farmer watering a symbolic plant was covered with tarp. All this was carried out in such a poor taste and in a coarse way that it seemed to the public as if the head and legs of the woman had been muddied. Therefore the sculpture lost its aesthetic elements and was despised by the public and it long remained a burning issue amongst people and in the press. The theorists can not have imagined disfiguring a metal sculpture would have led to such public humiliation.Eventually it was decided to remove it from the front of ministry of agriculture and place it in front of the museum of Contemporary Art. However, seemingly one of the Islamic art experts suspected the decadent nature of the sculpture once again and it was thus ordered to be hidden from sight and further investigations in to the case was abolished. Consequently as ordered , the sculpture was removed from the front of the museum and moved to the back of the sculpture garden of the museum so that the public can not see it any more. This is how a priceless and valuable art work was hidden from sight to prevent the spread of decadence and immorality in the society. 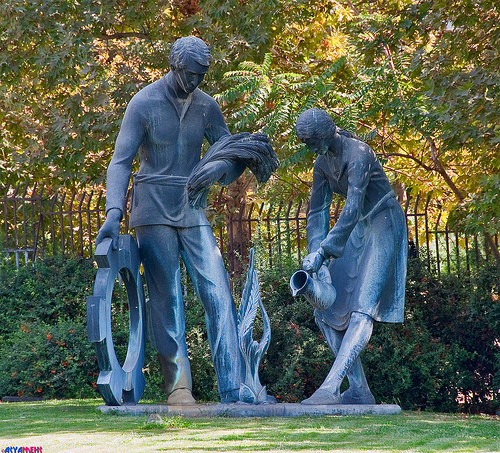 The destruction of a sculpture which symbolized and honored the working class and farmers! 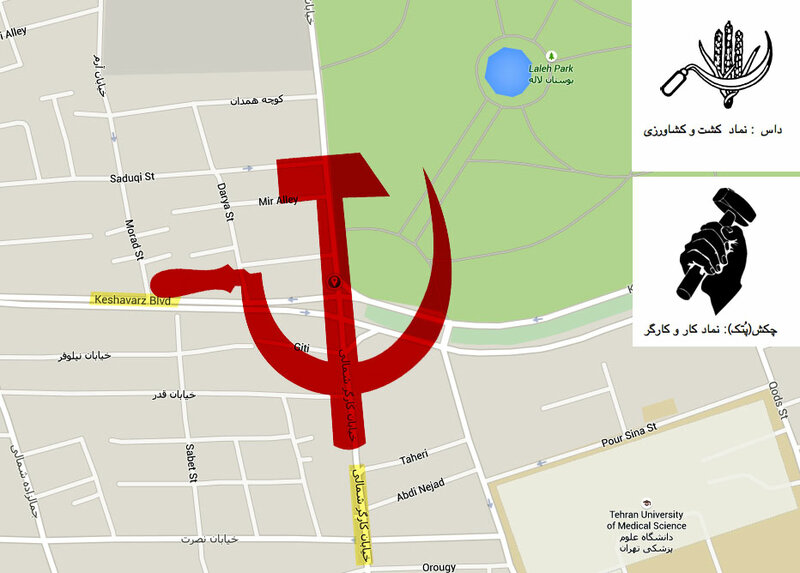 Interestingly, the officials were apparently utterly unaware of a bigger symbol of socialism in the heart of Tehran and that is the Hammer and sickle which can be seen at the intersection of two main and significant streets in Tehran: The intersection of Keshavarz Boulevard and Karegar ( worker) street. 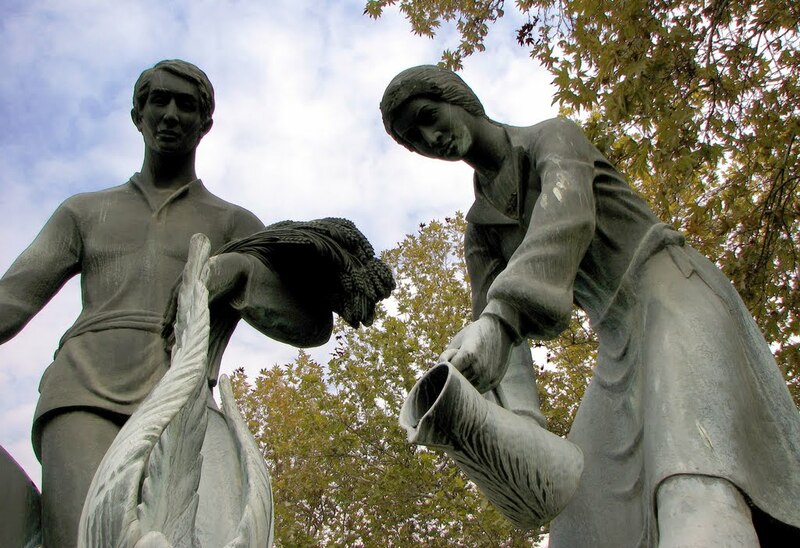 If we consider the Sickle as the symbol of Farmers and the hammer as the symbol of Workers then we could easily find a huge hammer and sickle at the heart of Tehran.